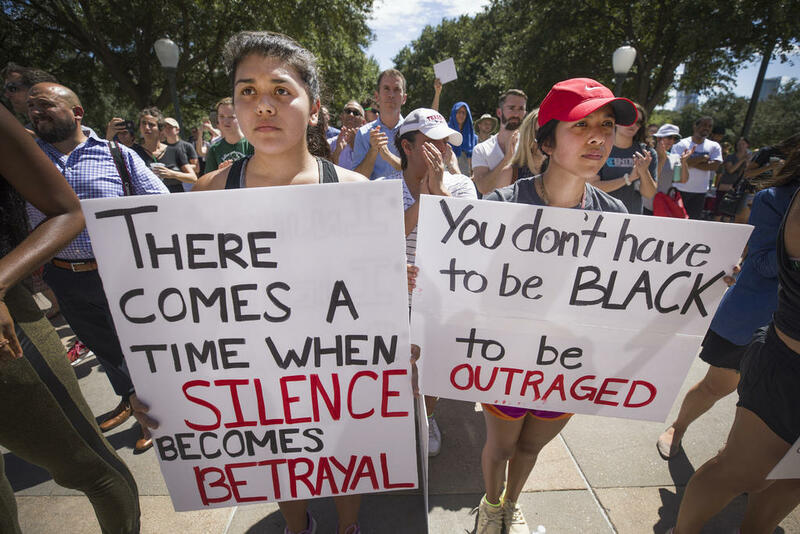 Demonstrators march from the African American History Memorial to the Texas state Capitol on Tuesday to demand an overhaul to the criminal justice system in Texas. Hundreds of community activists from across Texas gathered on the steps of the state Capitol on Tuesday to call on Republicans and Democrats to pass legislation to overhaul the criminal justice system here. 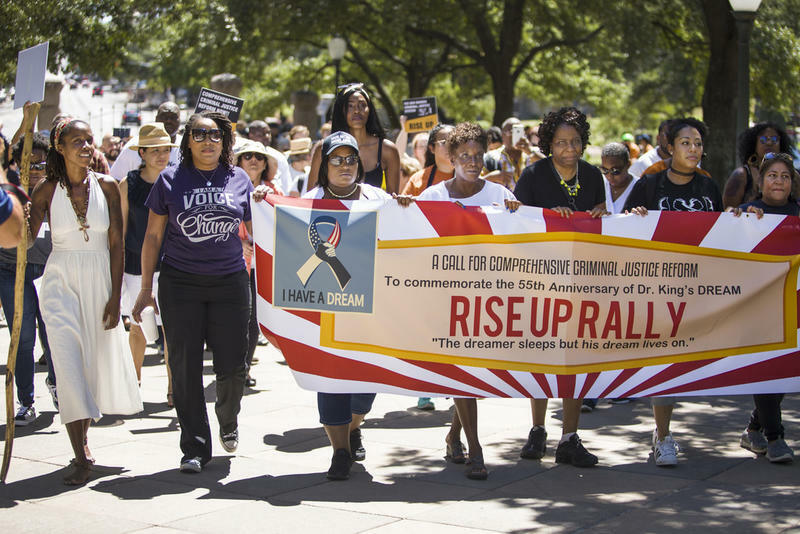 Austin Justice Coalition, Black Lives Matter Houston, the Community Advocacy & Healing Project and Indivisible Austin were among the organizations that organized the Rally for Criminal Justice Reform event, on the 55th anniversary of the March on Washington for Jobs and Freedom. Chas Moore, cofounder of the Austin Justice Coalition, says the community needs to keep the conversation going if it wants real change. 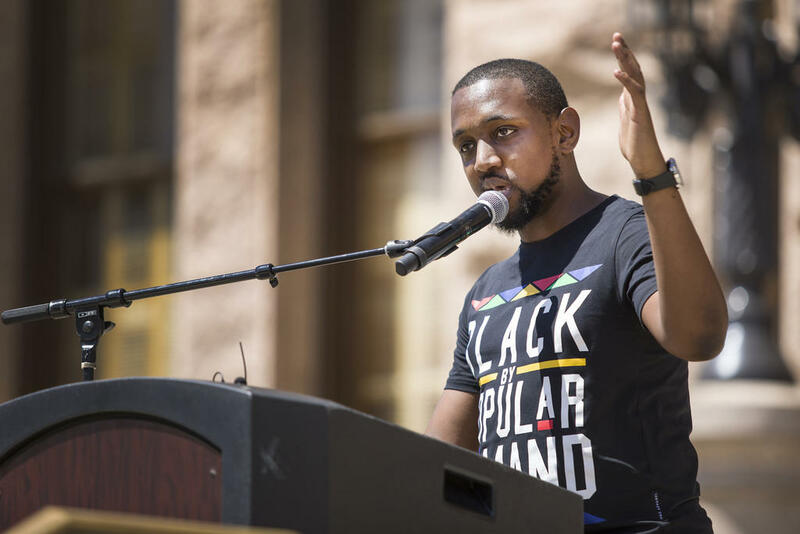 The activists marched from the African American History Memorial to the Capitol to hear a lineup of speakers, including Austin Mayor Steve Adler, Congressman Beto O’Rourke, state Rep. Senfronia Thompson and Mike Collier, who is running for lieutenant governor. 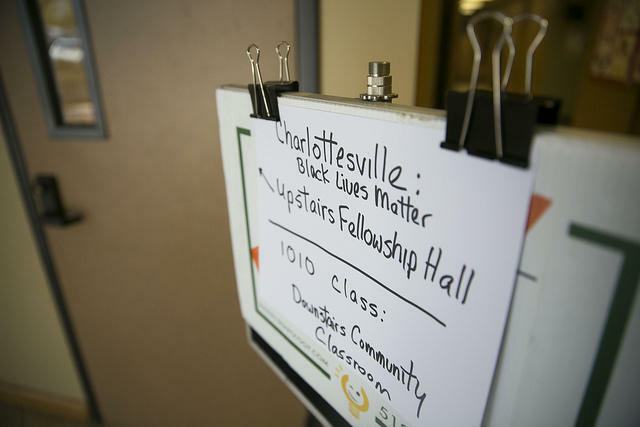 “We found out through speaking with a lot of our [lawmakers] that they had fear of messaging,” said Robert Williams, who spearheaded the event. “A lot of them felt that it was actually a liability to their campaigns [to talk about criminal justice issues] and so this rally is going to be an education tool of sorts." The event commemorated the 1963 march in Washington, D.C., which drew 250,000 people advocating for the rights of African-Americans. Martin Luther King Jr. gave his famous “I Have a Dream" speech at the gathering. Demonstrators listen as speakers call on politicians to address the school-to-prison pipeline, mass incarceration and private prisons. Texas has the seventh highest incarceration rate in the U.S., and the largest inmate population in the country, about 163,000 people. Speakers called on politicians to address the school-to-prison pipeline, mass incarceration and private prisons, and to raise the age at which people can be tried as adults from 17 to 18. According to a Texas Tribune analysis, 41 percent of people involved in police-involved shootings in Texas’ 36 largest cities between 2010 and 2015 were black. African-Americans accounted for just 14 percent of the population, however. After the rally, organizers gathered in the Capitol to talk about bail reform, the Sandra Bland Act, prison oversight and transparency. “We are going to put criminal justice reform in the mouths of these candidates and hopefully on the ballot in November,” Williams said. 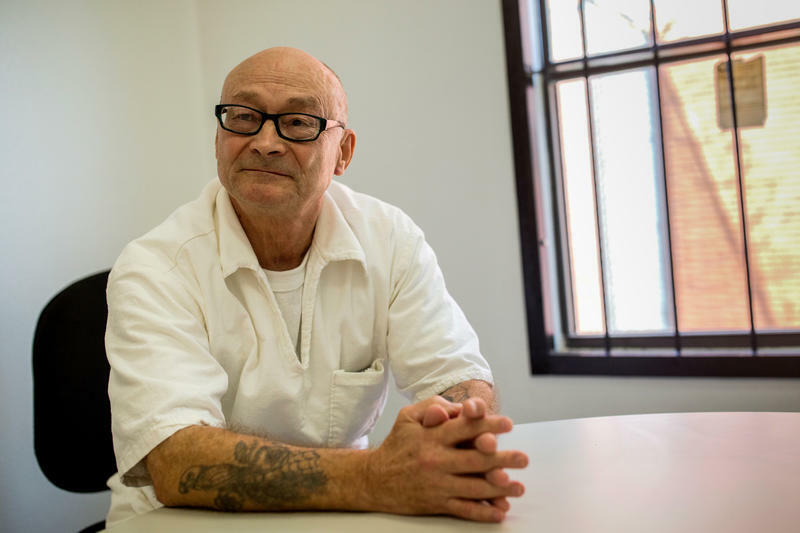 Arnold Darby, a 69-year-old inmate at Huntsville's Goree Unit, speaks with the Texas Standard about his craft as a bootmaker. While in prison, he has made boots for people all across the state, including politicians and athletes. 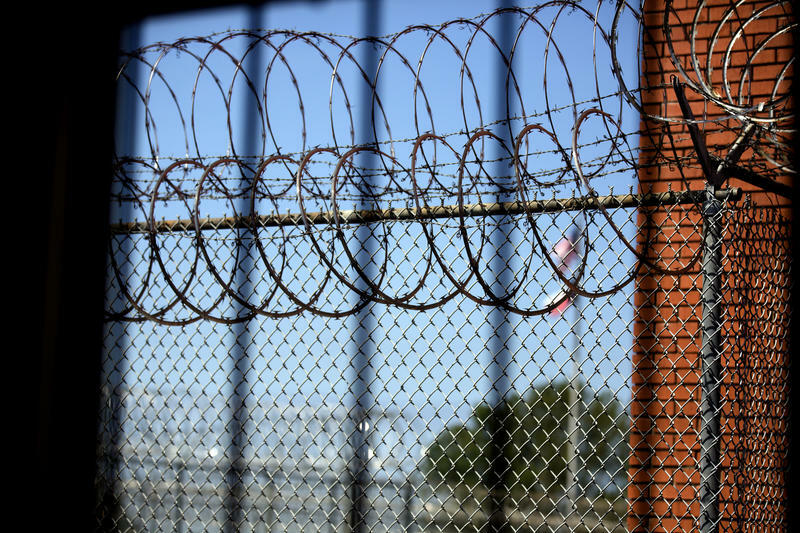 The study, released Tuesday by the local nonprofit Texas Criminal Justice Coalition, is the second of a two-part study that looks into the increasing numbers of incarcerated women. Central Texans are expressing solidarity and concern after Saturday’s deadly white supremacist and neo-Nazi rally in Charlottesville, Virginia.